I don’t think we always realize how much better we live these days. 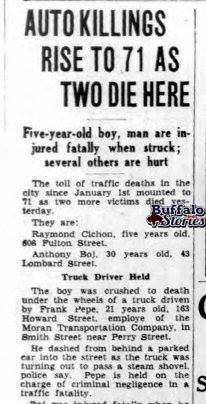 Both Grandpa and Grandma Cichon had little siblings killed when they were hit by cars on the streets of South Buffalo. 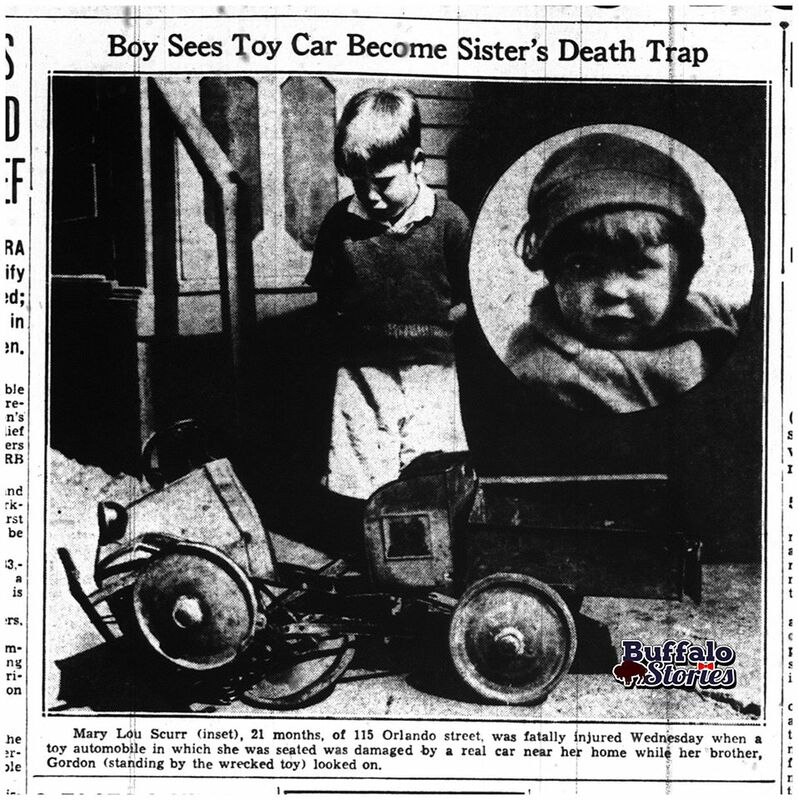 The Buffalo Evening News’ morbid coverage of Grandma Cichon’s little sister’s death is incredible. 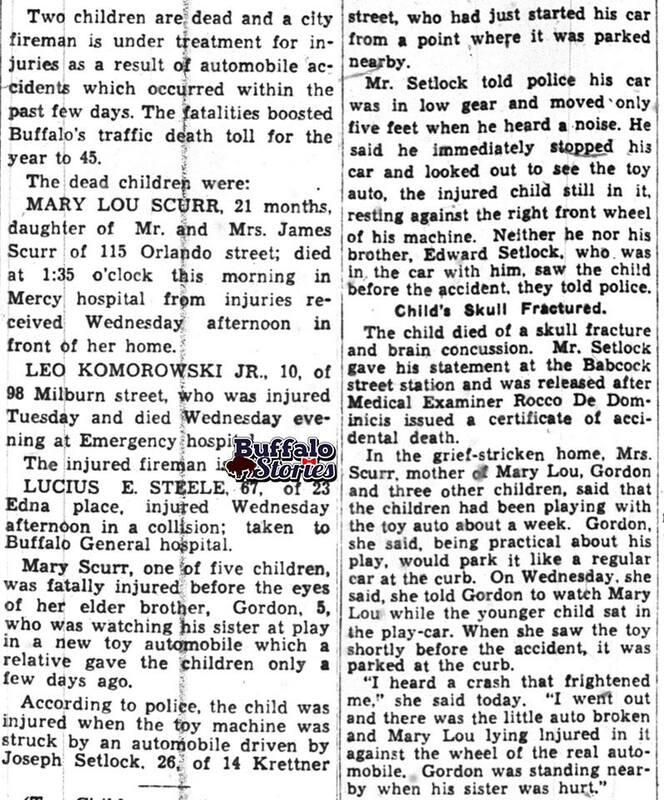 Mary Lou Scurr was about a year-and-a-half old when she was run over while playing in a toy car in the street. This photo was on the front page, above the fold, May, 1935. Grandma’s little brother Gordon—who was only hours before a witness to the accident which caused the death of his little sister– posed next to the wreckage of the accident. Judging by the description of the scene, it’s fair to assume this mangled car had blood and possibly other remains of his baby sister in it. Sadly, Gordon Scurr’s next appearance in the news was 11 years later, while in high school, he died of a rare glandular disorder. 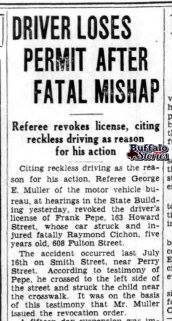 Two years later, Grandpa Cichon’s little brother was killed in a similar fashion. 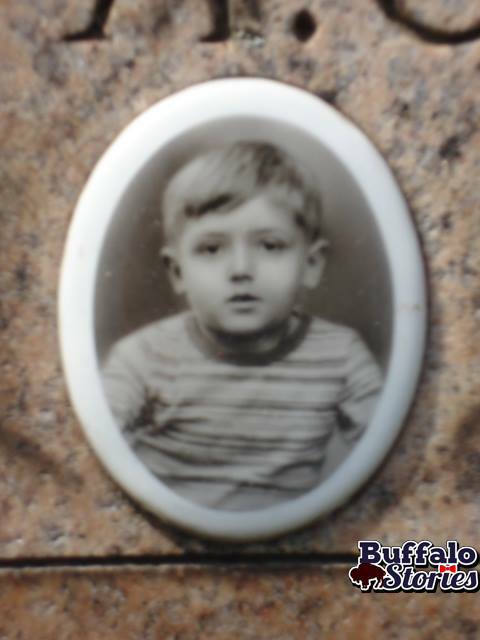 Roman (also called Raymond) Cichon was five years old and fascinated with trucks. He liked to go to the junk yard at the corner of Fulton and Smith Streets in The Valley to see the trucks in action. His big brother, my grandfather, used to take him there. The way he told it, while Gramps was stealing an apple off a neighbor’s tree, Raymond was “mangled” by a truck. 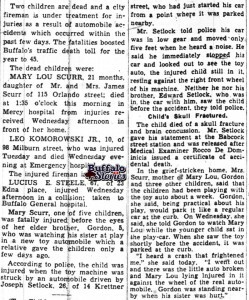 That word “mangled” was one Gramps often used with us in the hundreds of times we crossed Seneca Street to go from his house to Cazenovia Park. In his 88 year life, the death of Raymond may have been what caused him the most sadness; even worse in some ways than the unbearable loss of 4 of his own children. As he talked about it, I could feel his guilt in not being right there to save his little brother. His use of the word mangle is the only hint of what the scene looked like—but frankly it’s enough. In the end, it certainly wasn’t Gramps’ fault– and the truck driver lost his license. Raymond was killed when that truck bolted onto the sidewalk ran him over. 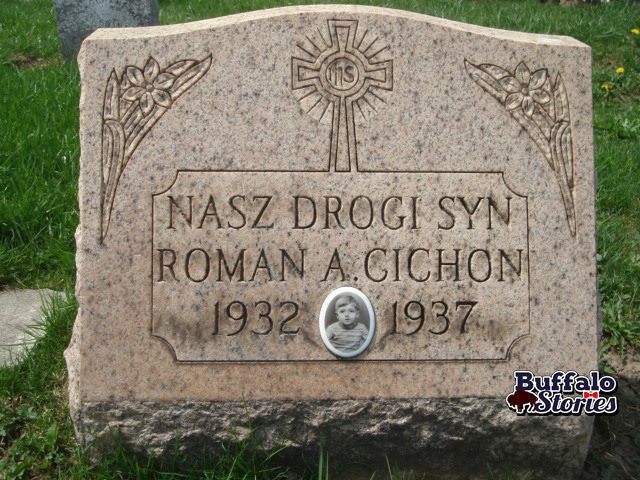 He was buried at St. Stanislaus cemetery near where another baby Cichon, Czeslaw (aka Chester ) was buried after he died from cancer as a baby.